Identifying and delivering innovative Land and Property development solutions and building strong partnerships has been the key to St. Pauls Developments success over the last 25 years. Based in the North of England, St. Pauls is regarded as one of the leading development companies in the Yorkshire/Humberside region.The Company was formed in 1987 as the vehicle to acquire and thereafter reclaim the 180 acre disused Cortonwood Colliery site in Rotherham, South Yorkshire. 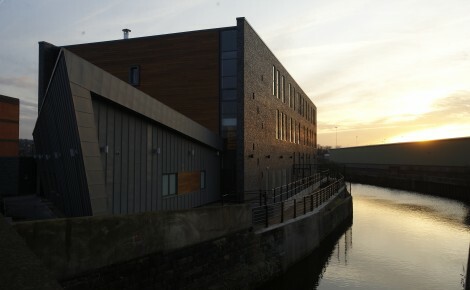 Since then, the company has established an enviable reputation nationally for the regeneration and development of brownfield sites, winning several environmental and property awards for our work in this area. We adopt a long term approach to the way we plan and position new development opportunities in particular market sectors. To date, our sites have attracted inward investments in excess of £250 million primarily in the Yorkshire region. We have achieved this by successfully delivering real estate solutions and creating development opportunities within sectors such as manufacturing, logistics, offices, healthcare, retail and leisure, energy and residential. Our dedicated team of real estate professionals, provides clients with expertise in the fields of urban regeneration, engineering, commercial property and construction. We have enjoyed many successful joint ventures within the public and private sector with ongoing JV relationships with the Homes and Communities Agency and The Norfolk Estate.